Blue Mug Designs Birth Announcement - What a Splash! 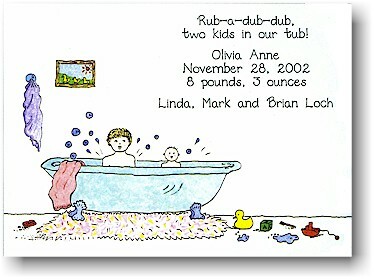 White card with older sibling (yellow hair) and baby in a bathtub. Graphics only as shown. White flat card with baby wrapped in a purple towel with red bar of soap, yellow rubber duckie and blue block.